My favorite thing about living in Chicago is a food. Not the Chicago style hot dogs and deep dish pizza the city is known for, I’m referring to the array of options available at a moment’s notice. For a brief time last year, I developed a crush on a “foodie” and I started to take an interest in the city’s restaurant scene so we would have more to discuss. 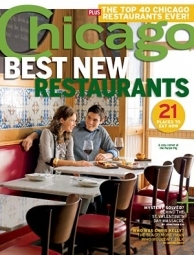 Time Out Chicago, Chicago Magazine and metromix Chicago instantly became my guides to dinning. My reading quickly transitioned from being about the girl to being about my passion for new experiences. 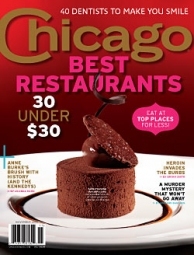 In the May 2009 issue of Chicago Magazine, the magazine ‘s deputy dining editor and humor columnist Jeff Ruby wrote about his transition from loving the taco salad at Chi-Chi’s to becoming a food critic. This article inspired me to start finding new opportunities to develop my palate and think more like Tom Colicchio and the other judges on Top Chef. Recently, I had an opportunity to be a food critic and it was more challenging than I expected. Sunda, one of the best Asian restaurants in Chicago, invented 20 of their social media supporters, including myself, to review their current menu and test several new dishes during a private brunch. Sunda is know for it’s ability to wow diners with contemporary interpretations of traditional Southeast Asian dishes and it did just that. The dishes are shared in a family style setting and after tasting 13 different options, everyone in our group left satisfied by both the food and the experience. 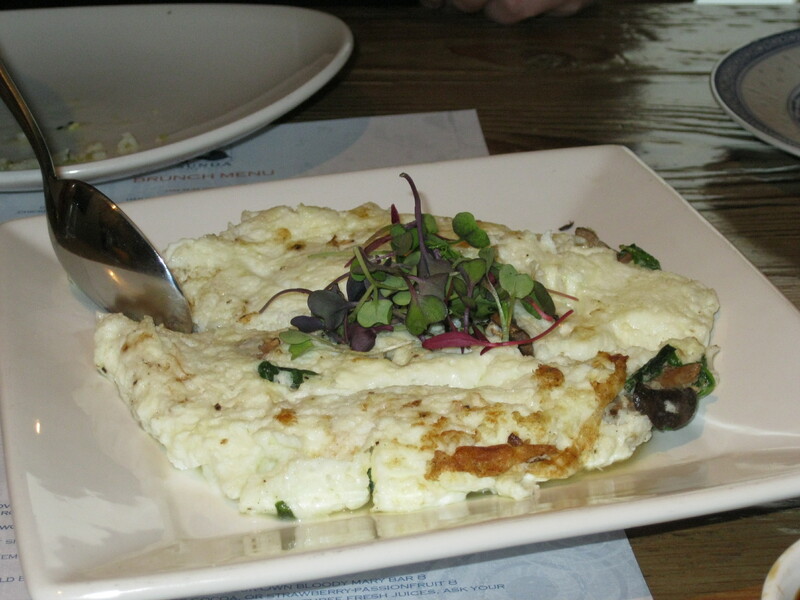 Some dishes were an instant hit like the spinach and mushroom omelet above, while others need a few more tweaks before we can declare it a grand slam. The toughest thing for me was knowing exactly what flavors I should be tasting. I can easily tell you whether or not I like a dish but recognizing the hidden flavors requires more attention than I initially thought. With the help of my fellow diners – Chris, Brenda, Tatiana, Mary Kay and Jeanelle – and Sunda’s general manager Aeron Lancero, I was able to identify the favors popping in my mouth. In addition to the flavors that delighted our taste buds, the presentation was superb. 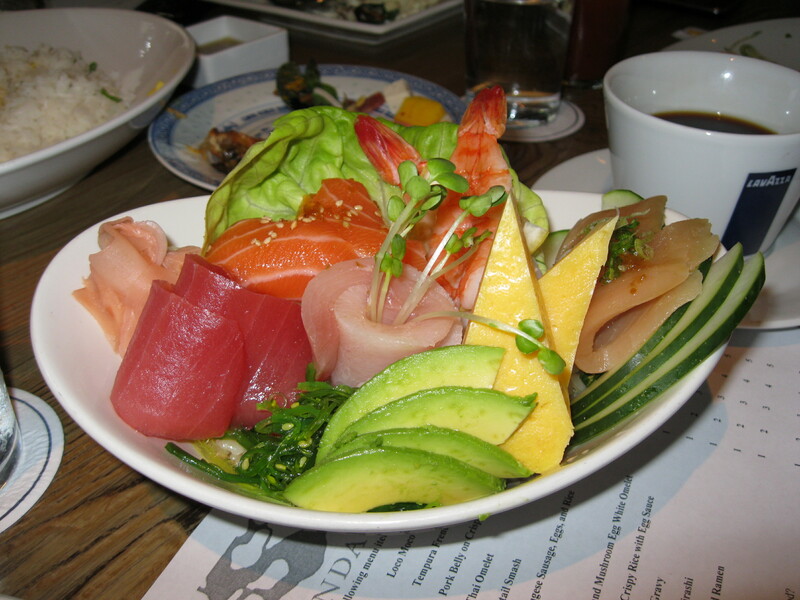 The chirashi, pictured above, is a new dish we tested and my picture doesn’t do it justice. According to my limited Google research, chirashi means scattered sushi, which explains why the fish is scattered throughout the bowl. For guests looking to take a break from egg based breakfast foods, this dish is the way to go. 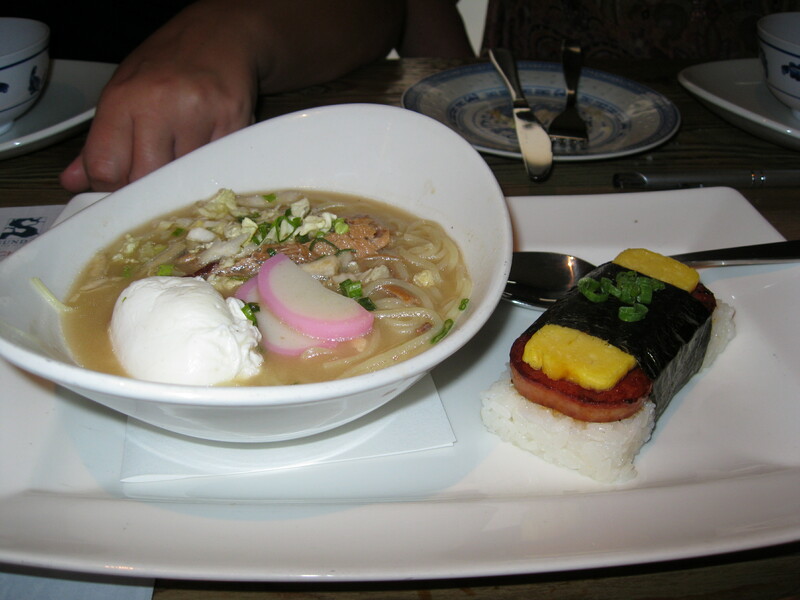 The title of “Most Unique Dish” belongs to the Spam Musubi and Ramen. The Spam Musubi is a popular Hawaiian dish similar to sushi, except it’s larger and made with Spam. With so many other dishes on the menu, I can’t say I’ll have this again but it was worth trying once. Aeron was an especially gracious and knowledgeable host. Throughout the meal he made sure we had everything we needed and found a balance between providing helpful information and not looking over our shoulders while we discussed the dishes. I hope to have more experiences with Aeron in the future. The restaurant scene in Chicago a constantly evolving. It’s easy to be overwhelmed by the changing store fronts and fall into a pattern of visiting the same place over and over. But with restaurants like Sunda re-evaluating and tweaking their menu on a constant basis, Chicago’s culinary scene will continue to thrive. Any job for a day is a great question. If it was just for a day I would love to see what it would be like to be the girl behind the meal in a professional kitchen. Cooking is what I do for fun and my friends all say should take the leap but there is a big difference between a hobby and a career. I’ve looked into it. My dad actually has his own cafe and catering company and I grew up around this industry. I’m not sure how much I want that life. He basically lives at his place. I would someday like to run an inn/B&B some where in New England. 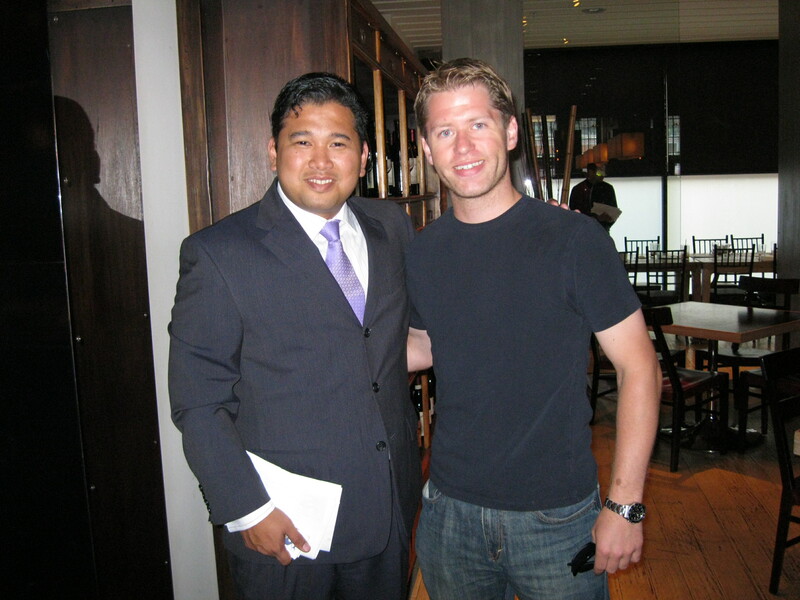 Thanks for the great write up and for coming in to Sunda to try out some of our brunch dishes. We had a great time putting on the event, and always appreciate seeing some of our twitter regulars. Thanks Tim. Brunch at Sunda was great and I can’t wait to see which test dishes made the cut. I’m embarrassed at how long it took me to post this but that won’t be the case for the WingIt posts. The TLT post should be going up tonight and the my Peeling Out will go up tomorrow night.